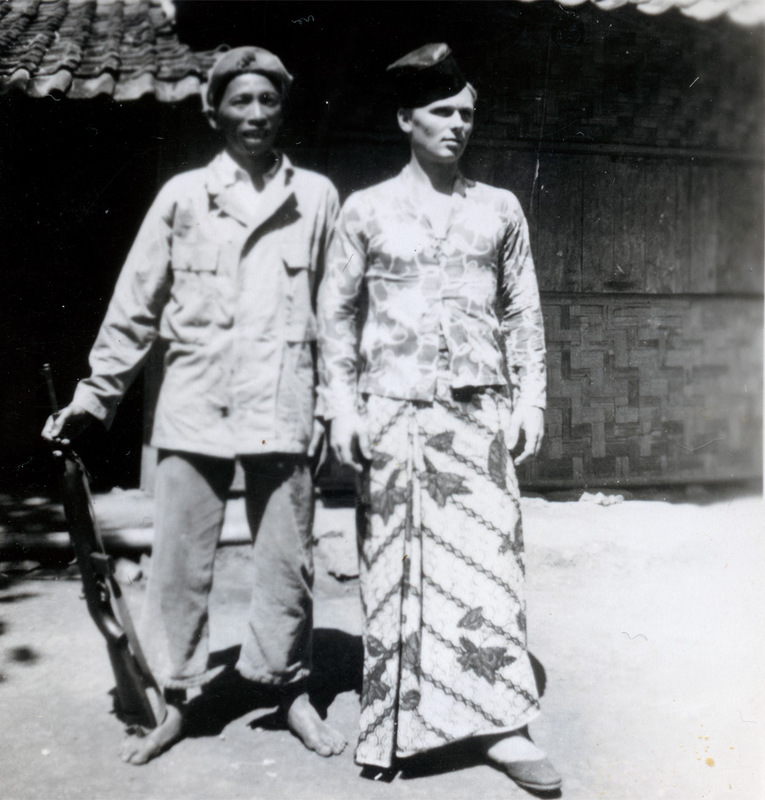 Dutch Marine Grijzenhout changing his uniform and weapon with the traditional clothes of his Indonesian friend Wardi, Surabaya 1947/48. Organized by the Histori Bersama foundation (/Marjolein van Pagee) in collaboration with Framer Framed and Koneksi-Connectie. For decades, Indonesia and the Netherlands have been writing history separately, resulting in different and contradictory historical records and understandings. The Dutch for instance refer to the Independence war (1945-1949) as ‘police actions,’ while Indonesians label it as ‘Dutch military aggressions.’ By showing one Dutch and one Indonesian TV-documentary we aim to open up a discussion. The Indonesian documentary Melawan Lupa (Metro TV Indonesia, 2014) covers the story of Dutch summary executions in 1948 West- Java. The Dutch Documentary Yet the pictures were beautiful (KRO, 1995) reflects on the State Visit of Queen Beatrix to Indonesia and shows how the colonial past still influences public relations after more than 50 years. Furthermore we will show the short movies Rawagede (2011) from Kaleb de Groot & Iben Trino-Molenkamp and The Loving Son (2015) from Arjen Sinninghe Damste. The film screening will be followed by a panel discussion. Helmut Hetzel, German foreign correspondent in the Netherlands. He follows the Dutch-Indonesian relations and traveled in 1995 to Indonesia to report about the State Visit of Queen Beatrix. Entry free, but based on reservations.